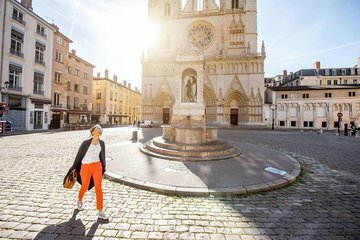 Get a glimpse into life in medieval France on a walking tour of Lyon’s UNESCO-listed Old Town, also known as Vieux-Lyon. Learn the town’s history and see the most interesting places as a guide leads you down narrow cobblestone streets past Renaissance churches, charming squares, and historic hotels. End with a visit to Lyon’s crown jewel, the opulent hilltop Notre Dame de Fourvière basilica, where you’ll also get the best views over the city. Please be there 15 minutes before the departure time, the latecomers are not accepted.